Dr. Truong’s Blog | KDT Optometry - Excellence Is The Only Option! Dr. Khoa D Truong, OD was recently invited to do a live expert interview about tips on finding the right eye doctor for your eyecare needs. What are the four P’s that I personally live by? In a nutshell, they are passion, persistence, positivity, and purpose. I am confident that if you live your life by these four simple statutes, you do not need to chase success, success will follow you. In this blog, I will concentrate on the first aspect which is passion. There are many definitions for passion. According to the dictionary, passion is defined as a powerful emotion, such as love, joy, hatred, or anger, ardent love, strong sexual desire, lust, boundless enthusiasm, an abandoned display of emotion, especially of anger. I will be concentrating on the boundless enthusiasm aspect, for being passionate can and will take you far in life. 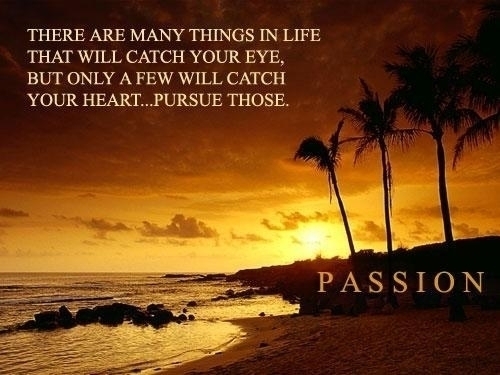 A nice quote to share: “Passion is passion. It’s the excitement between the tedious spaces, and it doesn’t matter where it’s directed…It can be coins or sports or politics or horses or music or faith…the saddest people I’ve ever met in life are the ones who don’t care deeply about anything at all.” Nothing great in the world has ever been accomplished without passion. Find a job that you are passionate about and you will never have to work a day in your life. When you are passionate about your job, your employer will sense this and reward you accordingly. If you are self-employed, your customers and clients will become loyal patrons for life if you create an excellent experience for them. They will sense your passion and gravitate towards you and your services. As an end result, business will increase because not only have you captured them, your passion has created a word of mouth referral for their family and friends. Have you noticed that every successful person in this world have a certain passion and vision that emanates from their body? Success becomes a part of the energy wavelength that they emit into the universe, without words even being spoken. Being passionate about life will open doors for you that you never thought was possible. People will always be drawn to passionate and positive things in life, whether it be humans, inanimate objects or experiences. Do not live a life of fear, regrets and defeat. You only have one life and you do not know your time of departure from this earth so it is best you use this time wisely. Nurture your passion by taking whatever means necessary (with integrity) to accomplish your goals and live the life that you have always dreamt of. Your life is exactly what you make of it so why not live like today is literally your last and being passionate is a great start guaranteed! This is my first official blog post and I appreciate you reading this. My friends and family always ask me why do I always have so much energy and how do I get it. There is no secret formula or magic potion. What I will share with you is what works for me and I’m pretty sure it will work for you. Proper exercise and nutrition is the foundation to set this into motion. There is no better time to get your heart pumping and your blood flowing than in the morning, but the key is to get the exercise in any time of day. I try to do some sort of exercise before work to start the day off right (I will go into the different kinds of exercise and the nutrition aspects on future blogs). The reason why exercise helps with your energy is based on a scientific fact that we are all composed of trillions of cells in our bodies. Each of these cells has an energy powerplant called mitochondria which produces ATP (basic molecule for energy). What exercise does is it makes each mitochondria become much more efficient so it’s like you are upgrading your internal engine from a go-cart to a race car. The caveat is that it takes time for your body to adapt; at least several months of CONSISTENT exercise for your body to fully acclimate. Rome was not built in a day so your body needs time as well. NO EXCUSES! 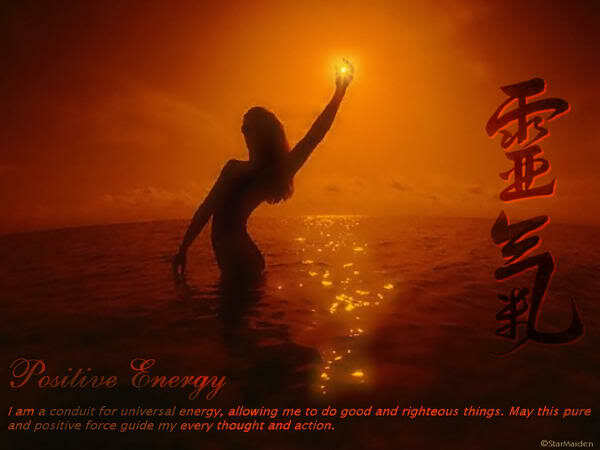 We are all made of energy; we all emit a certain frequency into the universe. When your energy levels go up, so will your positivity. If you feel healthy and good about yourself, the positive energy that you present will surround you with an aura of confidence that is undeniable. When you are positive, people around you will be more warm to you as well. One of the best things with having high energy and emitting a high frequency, is that you won’t be depressed, get sick much, you will feel that nothing in life is impossible. Your happiness is a reflection of your health and doors will open to you like no other guaranteed! There’s ton of excuses that people make why they are not happy. The life that you have is exactly the life that you have created for yourself. Stop blaming others for your misfortunes and start creating your own happiness by taking action and doing something positive for yourself and for others. Trust me, I have gone through my battles and I have realized that your mind is the most powerful force you have. It can be your best friend and turn around be your worst enemy. Learn to control it by thinking positive thoughts especially during difficult situations. Be grateful for what you have but always dream bigger! Your happiness is a choice so choose it wisely! Dr. Truong attended this road cycling event April 10th, sponsored by NVision Laser Centers. It was an awesome event!